Yeah, times have changed. Hartmut Massoth developed the first sound module for a garden railway locomotive in 1972 and thus began a long period of close, trusting cooperation between the Richter family and the Ernst Paul Lehmann Patentwerk in Nuremberg (LGB for short) with the Massoth family and Massoth Elektronik GmbH. In 1974 the first product of the company LGB was delivered with an ex works equipped sound electronics from Massoth: The 99 6001 Harzquerbahn steam locomotive “Ballerina” was born. Countless other models with sound and control electronics followed and at the end of the 90s also the digital control technology of the LGB. Christoph Massoth accompanied the digital development of the Gartenbahn both in the field of digital sound – also a world novelty developed by Massoth, as well as DCC. 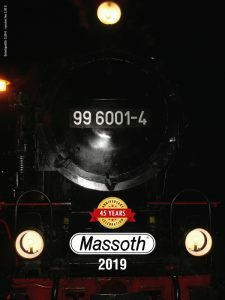 Massoth technology was installed in every digital or sound locomotive from Nuremberg. 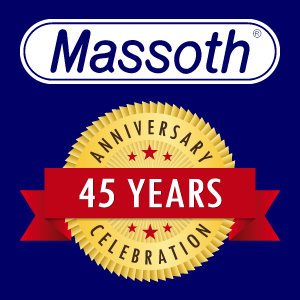 At the turn of the millennium the pure supplier company of LGB became the own brand Massoth with a constantly growing product range of technology and accessories around the garden railway. In 1997, Hartmut Massoth patented the rail connector, which is still so popular today, and in the previous year even the practical roller test bench. The DiMAX product range conquered the garden railway and is still indispensable today. On almost every Fair, in every club our blue navigators are in action. In search of the original sounds for our customers, we have already covered many routes and train routes worldwide to collect the sometimes unique recordings. Even though nowadays most garden railway locomotives are delivered as complete equipment, we promise our customers to make the most beautiful hobby in the world even better with novelties and proven products from German development and production. From today, Wednesday 30.01.2019, the new Massoth Product Catalogue 2019 (#8000109) will also be available online at the start of the International Toy Fair Nuremberg. Browse through it, we are sure that you will find interesting new products again. At this point we would like to draw your attention to the anniversary competition, which can be found in the brochure on page 4. We look forward to active participation. There are a total of 3 great prizes to win. Yes, times have changed – but so have we. So celebrate 45 years of our family business with us and be sure that we also want to celebrate our 50th birthday together with you.